I made this line of miniatures for myself, wanting more and different poses for my army than I could find to buy out there. 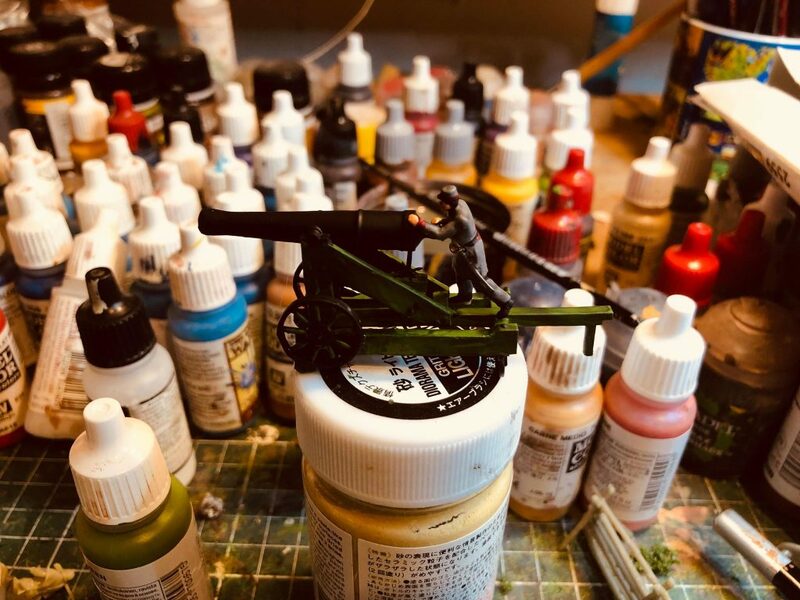 After creating hundreds of miniatures for myself I got to thinking: perhaps there are others enthusiasts like me who also want these? I find these models great and hope you like them too! Here I have painted a little, great fun. We send these unpainted (the color of the plastic can vary), so you can enjoy that part! Miniatures are not suitable for small children, say under 5 years old. Our miniatures are built to order. It takes 1-2 weeks before we can ship your order (depending on numbers of orders and size), since this is still a hobby of ours. It’s not just click and print them for us, there is a lot of work to place them and remove support, curing etc. After printing and processing we send your package with postage and it usually takes 1 week before its arrive if within Europe. I made a choice not to oversize and fatten details too much, so perhaps some details may break if you drop the figure on for example the flow. We have a mix of 30% flex that helps them to not break so easy, but they are not sturdy as normal plastic figures. They do not shatter violently into thousands of pieces, normally a thin details may break off so just glue the thin part back on again if you need. Particularly the bayonets are very thin since I didn’t want oversized ones, so they do break sometimes. I myself, thinking well I want them to look good and not everyone had bayonets on so ok if some are lost. I have not had anything other than bayonets and maybe a rifle or two break off and I have hundreds of miniatures now. What size are our 1/72 miniatures? We can do some customization of the models, just ask for price info. And no problem with other scales than 1/72, please make a request and we can probably resolve it and also calculate the price difference for you.